Leeds Council considers reclassification of 865 properties: We say NOT GOOD ENOUGH! 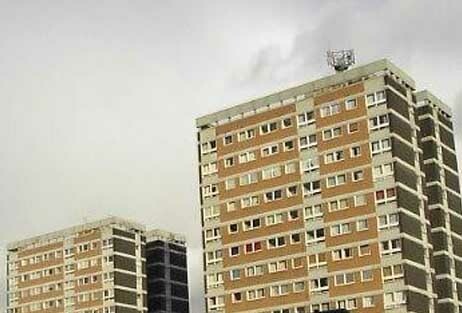 Two days after the ‘bedroom tax’ policy came in, Leeds City Council broke its silence to say that it is considering reclassifying 865 affected properties so that they are not classed as ‘under-occupied’. 1) WHAT ABOUT THE OTHER 88%? Other councils have gone further than this; Brighton & Hove, Dundee, Islington and Darlington have all made public statements about not evicting tenants in arrears who can’t pay – this doesn’t got far enough, and it’s by no means clear if these councils will stay true to their word. But compare Leeds’ proposal, which only covers some 12% of the total number of properties affected by the policy. For the vast majority of Leeds tenants now losing 14-25% of their housing benefit, the council has no help to offer. 2) SO WHAT ABOUT NON-EVICTIONS FOR ALL WHO CAN’T PAY? But we know from Tom Riordan, CEO of Leeds City Council, and from several other councillors such as Alex Sobel (Moortown) that the council is actively looking at a non-eviction policy for affected tenants who can’t pay. We’ve heard nothing more concrete than this. For the benefit of those suffering the distress of facing deep debt and losing their homes Leeds City Council should announce a non-eviction policy as soon as possible. As we pointed out, the council knows full well, that it will cost them more to deal with challenges to housing benefit decision notices and/or evictions than to just let people to get into arrears. We can see that this announcement, which sounds generous, is really just common sense for the council – a way for them to avoid fuss and losing more money later on. When a council says they are ‘considering’ doing something, it usually means they will – but will there be any movement on protecting the other 88% of homes? Hands Off Our Homes are demanding that the council Publicly oppose the policy and pledge no evictions due to ‘bedroom tax’ cuts in housing benefit. We are building a movement of people who will resist and oppose the policy and on 20th April we’ll be taking to the streets of Leeds to make our outrage and our demands clear. Join us! ← Two build up events for April 20th announced!